Black holes were at the center of the gravitational waves discovery. Black holes had the spotlight as the centerpiece of the gravitational waves discovery announced recently. 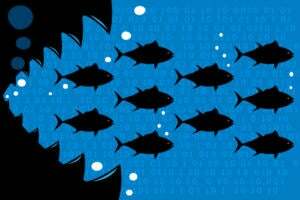 The waves were produced during the final fraction of a second of the merger of two black holes – that were about 29 and 36 times the mass of the sun, to produce a single, more massive spinning black hole. NASA defines black holes as places in space where gravity pulls so much that even light cannot get out. The gravity is so strong because matter has been squeezed into a tiny space and that can happen when a star is dying for example. While black holes are basically invisible, they make for some spectacular imagery, some an artist’s interpretation, in the space matter and stars around them. 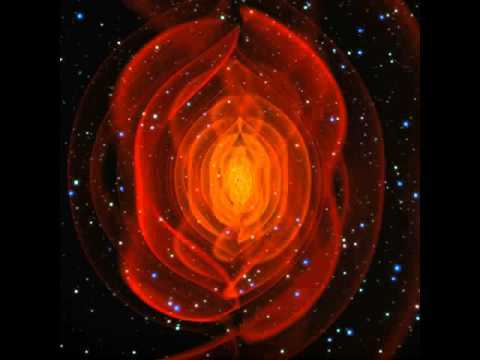 Related: Einstein was right: Gravitational waves exist! 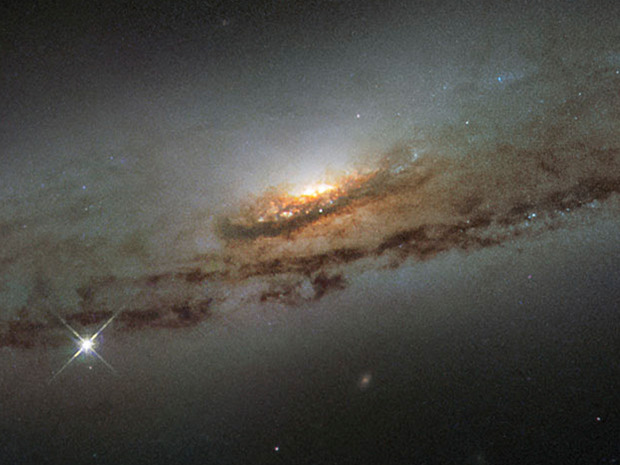 The spiral galaxy NGC 4845, located over 65 million light-years away in the constellation of Virgo (The Virgin). 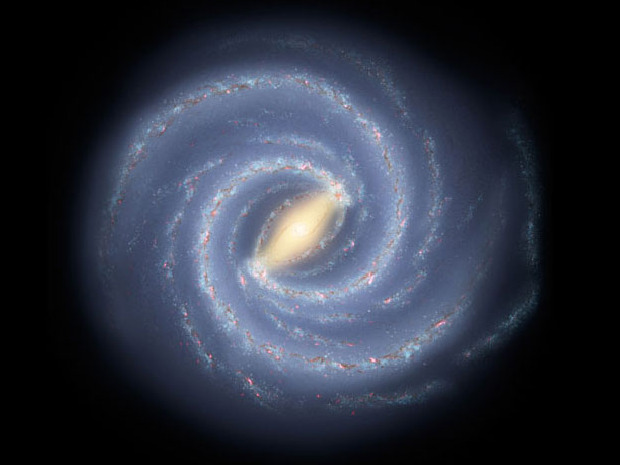 The galaxy's orientation clearly reveals the striking spiral structure: a flat and dust-mottled disc surrounding a bright galactic bulge. NGC 4845's glowing center hosts a gigantic version of a black hole, known as a supermassive black hole. 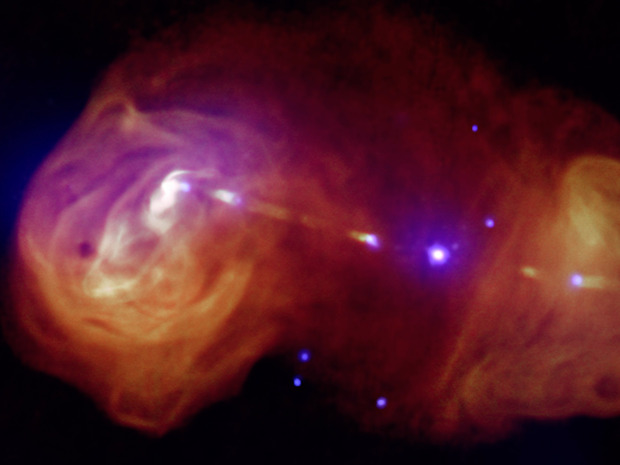 Giant plumes of radiation seen in X-rays from Chandra (purple) and radio data from the Very Large Array (orange) from radio galaxy 3C353, a wide, double-lobed active galaxy that is very luminous at radio wavelengths, where the galaxy is the tiny point in the center. Jets generated by supermassive black holes at the centers of galaxies can transport huge amounts of energy across great distances. Markarian 231, a binary black hole found in the center of the nearest quasar host galaxy to Earth. Like a pair of whirling skaters, the black-hole duo generates tremendous amounts of energy that makes the core of the host galaxy outshine the glow of the galaxy's population of billions of stars. 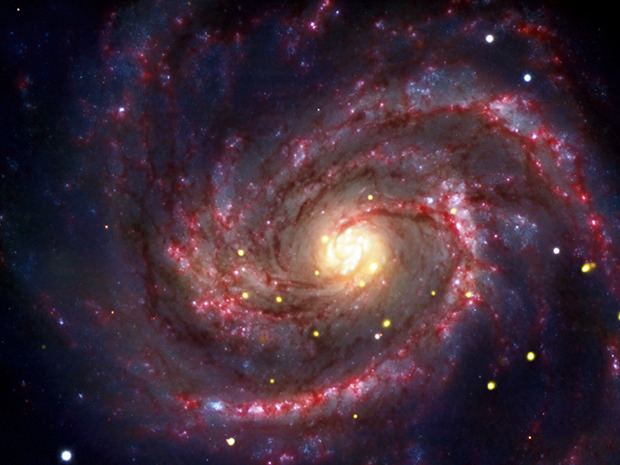 A supernova within the galaxy M100, that may contain the youngest known black hole in our cosmic neighborhood. 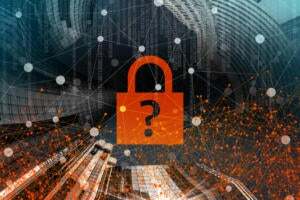 X-ray observations suggest the object, a mere 50 million light-years away in a neighboring galaxy, is a black hole in the making, Reuters stated. 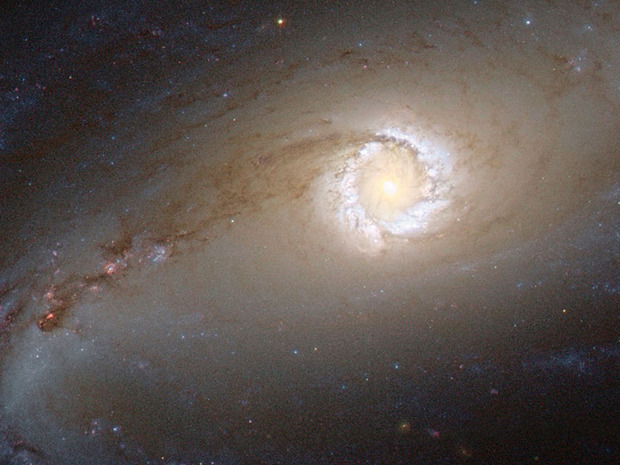 Galaxy 1068, located about 47 million light-years away in the constellation Cetus. 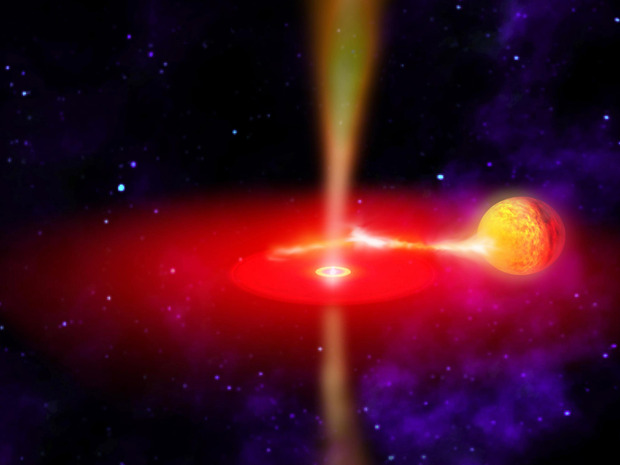 The X-ray light is coming from an active supermassive black hole, also known as a quasar, in the center of the galaxy. This supermassive black hole has been extensively studied due to its relatively close proximity to our galaxy. 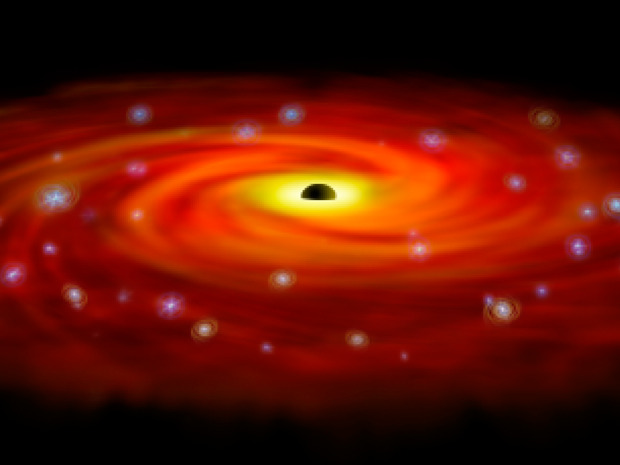 An artist's impression of a growing supermassive black hole located in the early Universe. Using the deepest X-ray image ever taken, astronomers found the first direct evidence that massive black holes were common in the early universe. This discovery shows that very young black holes grew more aggressively than previously thought, in tandem with the growth of their host galaxies, Reuters said. 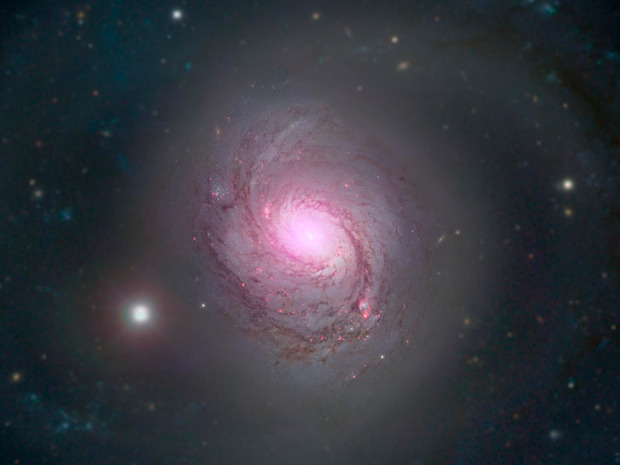 A bright star-forming ring that surrounds the heart of the barred spiral galaxy NGC 1097, a Seyfert galaxy. The larger-scale structure of the galaxy is barely visible. Its comparatively dim spiral arms, which surround its heart in a loose embrace, reach out beyond the edges of this frame. This face-on galaxy, lying 45 million light-years away from Earth in the southern constellation of Fornax (The Furnace), is particularly attractive for astronomers. Lurking at the very center of the galaxy, a supermassive black hole 100 million times the mass of our Sun is gradually sucking in the matter around it. The area immediately around the black hole shines powerfully with radiation coming from the material falling in, Reuters said. A supermassive black hole with millions to billions times the mass of our sun. 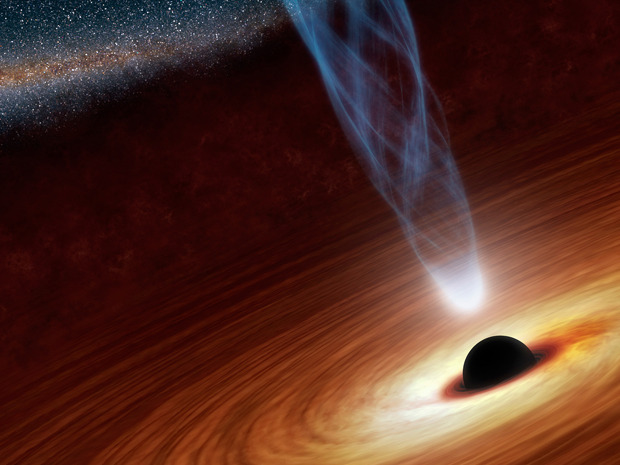 In this illustration, the supermassive black hole at the center is surrounded by matter flowing onto the black hole in what is termed an accretion disk. 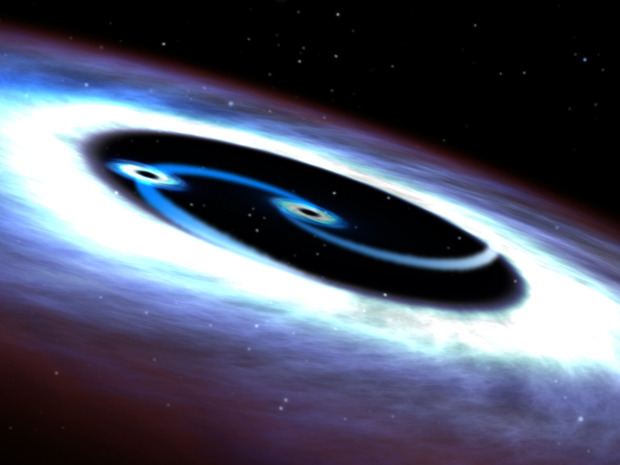 This disk forms as the dust and gas in the galaxy falls onto the hole, attracted by its gravity. Also shown is an outflowing jet of energetic particles, believed to be powered by the black hole's spin. 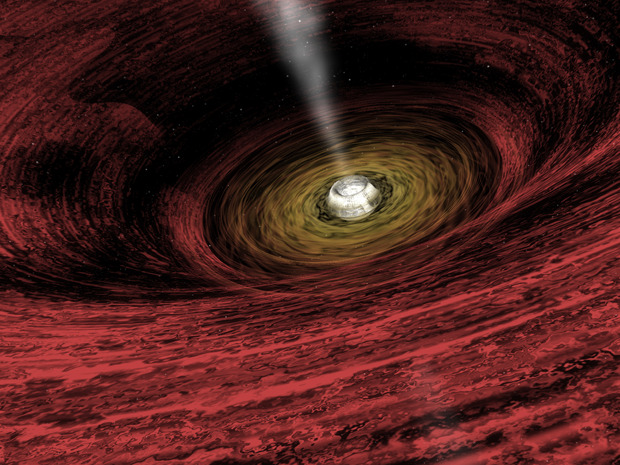 An artist's concept illustrates what the flaring black hole called GX 339-4 might look like. GX 339-4 likely formed from a star that exploded. It is surrounded by an accretion disk (red) of material being pulled onto the black hole from a neighboring star (yellow orb). Some of this material is shot away in the form of jets (yellow flows above and below the disk). The region close to the black hole glows brightly in infrared light. A ring of stars circling Sagittarius A*, the Milky Way's central black hole, shows a combination of infrared and X-ray observations indicating that a surplus of massive stars has formed from a large disk of gas around the black hole. Dozens of massive stars, destined for a short but brilliant life, were born less than a light-year away from the Milky Way's central black hole, one of the most hostile environments in our galaxy. 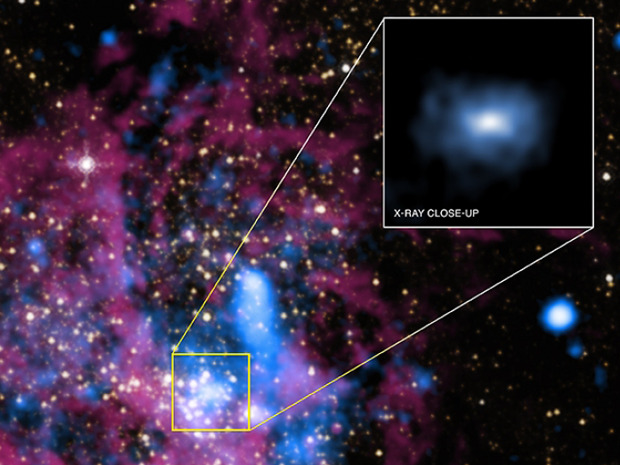 Sagittarius A* is the black hole at the center of the Milky Way galaxy. 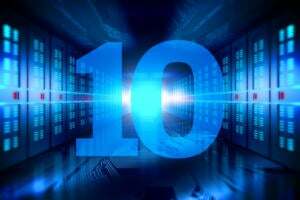 This movie shows a simulation of the merger of two black holes and the resulting emission of gravitational radiation. The colored fields represent a component of the curvature of space-time. The outer sheets (red) correspond directly to outgoing gravitational radiation, which was recently detected by the gravitational waves observatories.